You Can Download the latest version of adobe flash player 11.8.800.94 Offline installer Here. If you want to download Regular/Online flash player installer download Here and install on your computer. Some times it may be problem to download the regular/online flash player installer due to low Internet bandwidth or for any other reasons. For adobe flash player online installer first you have to download a small installer file about 1MB then it will download the full version and install it, but in the case of adobe flash player offline/standalone installer you have to download the complete software from the adobe website and install it whenever you want in any windows base computer. You can download the newest/latest version standalone offline flash player installer form the official adobe website. 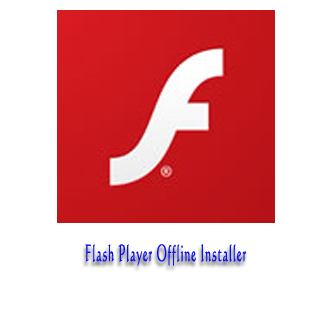 Once you download the offline flash player installer, install it on your computer or any other computer at your home or office.The offline flash player installer available in .exe installer and .msi installer. You can also download the flash player for windows Internet Explorer or for plug-in based browser, like Firefox, Google chrome, Opera etc. If you are using both Internet Explorer and Mozilla Firefox, then just download both offline installer and these two flash player on your computer. The offline installer also available for Mac Operating System. For Internet Explorer Download (Windows Internet Explorer flash player) any one from the msi or exe file. For any other browser Download (Windows Plugin-based browsers flash player) any one from the msi or exe file.